Anyone else still stumbling around in a post-time change fog? I read once that it takes three weeks to fully adjust to a new schedule, so hopefully by the end of the month we’ll be caught up on the sleep we’ve missed! Give me all the daylight, though. Every day we’re getting closer to 10pm sunsets and 5am sunrises, and the twilight hours that fill the hours in between. We’ll be making up for the winter darkness. I smelled mud the other day and I remembered spring. It took me by surprise. I was in a parking lot and the heavy, earthy scent drifted past, bringing with it a sudden swell of hope! Same with the sound of water trickling through the downspout as the snow melts off the roof. Ordinary evidence that the season is changing, and with it, the things we spend our time and energy on. 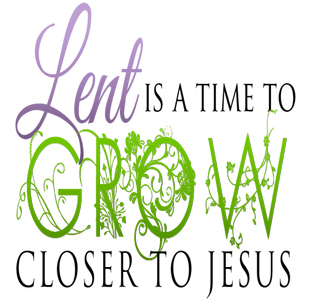 It’s the Lenten season. I recently read a Lent devotional that seemed to pit personal times of worship against serving the least of these in our community, as if the former is selfish and the latter is spiritual. It seemed to say that reading our Bibles and spending time in prayer is meant to somehow impress God with our efforts to be holy, when our energies would be better spent serving those among us who are truly in need. When we put our faith in Christ, the Bible teaches that we become Christ’s righteousness before God. When God looks at us, He doesn’t see our vain efforts to impress, He sees Jesus. So why should we view the Lenten season as some sort of exercise in spiritual pride, bent on giving us brownie points with God? If that’s what Lent is for you, I strongly recommend you rethink this season. That last verse gets me every single time: God made him who had no sin to be sin for us, so that in him we might become the righteousness of God. When we understand exactly what Jesus did for us, we no longer see these seasons of examining our hearts and engaging in repentance and renewal as an effort to impress Him with how spiritual we are. We fall down in worship, fully surrendering our proud hearts and recognizing that there is no other Person who can bring us back in to right relationship with a Holy Creator to whom we owe the very breath in our lungs. I will say, though, that these times of worship must bring about lasting change in our hearts! And out of that change comes minds that are transformed by the truth of God’s Word, hearts that are open to the Holy Spirit, eyes that are searching for opportunities to put Christ’s love in action, and hands that are ready to serve Him by serving others. I think the author of the Lent devotional is right in pointing out that inaction is a grave mistake that we would do well to pay attention to. But I am sad when I see worship and service pitted against each other. In the weeks leading up to Easter I’ve begun to read the Gospels of Luke and John, once again re-living the life of Christ and praying that God will move in my heart through the story spread out on the pages. I am stunned, amazed and encouraged by Jesus! And most often, I am finding that service of the least of these consists of pouring practical love on the very people that are right in front of me.